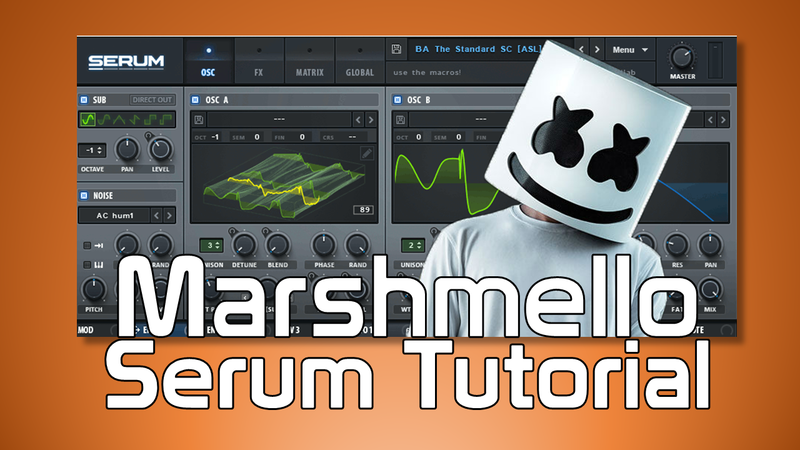 In this tutorial for Serum, we look at creating a Marshmello Saw Bass sound. Starting off with using two osciallators, adding in a sub osciallator and then onto using envelopes and also the effects section. Then we finish off using macros so you can control your new sound to your heart’s content. Using Ableton as the Digital Audio workstation for our example, you can apply the techniques from the tutorial using your own DAW easy enough.